Jaundice is a yellow discoloration of the skin, mucous membranes and the whites of the eyes caused by increased amount of bilirubin in the blood. Jaundice is a sign of underlying disease process. Bilirubin is a by-product of the daily natural breakdown and destruction of red blood cells in the body. The hemoglobin molecule that is released into the blood by this process is split, with the heme portion undergoing a chemical conversion to bilirubin. Normally, the liver metabolizes and excretes the bilirubin in the form of bile. However, if there is a disruption in this normal metabolism and/or production of bilirubin, jaundice may result. 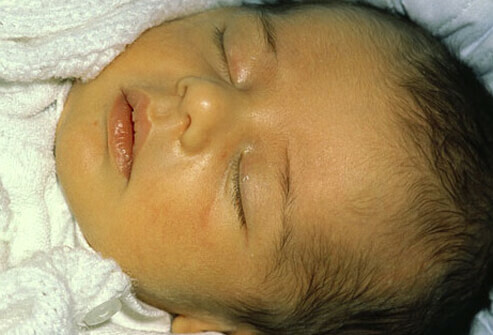 To know more about Jaundice such as " What is Jaundice? it's Symptoms and Prevention " you can read the whole article.. Causes of Jaundice : Jaundice most often occurs as a result of an underlying disorder that either causes overproduction of bilirubin or prevents the liver from disposing of it, both of which result in bilirubin being deposited in tissues. Some Causes of Jaundice are given below.. Acute inflammation of the liver - may impair the ability of the liver to conjugate and secrete bilirubin, resulting in a buildup. Inflammation of the bile duct - may prevent the secretion of bile and removal of bilirubin, causing jaundice. Obstruction of the bile duct - prevents the liver from disposing of bilirubin. Hemolytic anemia - production of bilirubin increases when large quantities of red blood cells are broken down. Gilbert's syndrome - an inherited condition that impairs the ability of enzymes to process the excretion of bile. Cholestasis - a condition where the flow of bile from the liver is interrupted. The bile containing conjugated bilirubin remains in the liver instead of being excreted. In rare conditions that may cause jaundice include which is provided below..
Types of Jaundice : There are main three types of jaundice which is provided below.. Treatment of jaundice typically requires a diagnosis of the specific cause in order to select suitable treatment options. Treatment would then target the cause, rather than the jaundice itself. Anemia-induced jaundice may be treated by increasing the amount of iron in the blood; either by taking iron supplements or eating more iron-rich foods. Hepatitis-induced jaundice may be treated with anti-viral or steroid medications. Obstruction-induced jaundice may be treated via surgery to remove the obstruction. Medication-induced jaundice is treated by selecting an alternative medication and by discontinuing medications that caused jaundice. Refraining from exceeding recommended amounts of alcohol.